Bangkok (VNA) - The Tourism Authority of Thailand (TAT) has forecast that the number of tourists during this year’s Songkran festival from April 12-16 will drop by 10 percent partly due to the northern haze problems. TAT Governor Yuthasak Supasorn said tourist groups are expected to adjust their travel plans and choose to travel to other areas in Thailand instead. He expected overall hotel occupancy rate in the northern region during Songkran to be around 75 percent. Hotels in areas affected by wildfires, such as Mae Rim, Chiang Dao and Fang districts of Chiang Mai province may have reservation rates under 50 percent. Hotels in Mae Hong Son province may face the worst booking rate at under 30 percent, making some hotels opt to close down for renovations. Due to the fallout from the downturn in the three northern provinces of Chiang Mai, Chiang Rai and Mae Hong Son, TAT expects tourism revenue during this year’s Songkran to reduce by 2 billion THB, Yuthasak said. 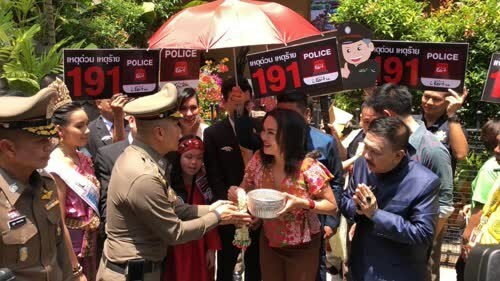 Previously, the TAT has predicted that the number of Thai tourists travelling during the Songkran festival at 3.11 million people and some 546,000 foreign visitors, generating a 10 percent increase in revenue, valued at 20.98 billion THB. President of the Thai Hotel Association (THA) Supawan Tanomkieatipume said that the rate of hotel bookings throughout the country during Songkran was not good yet. At present, Chiang Mai has only a 60 percent reservation level after being affected by haze problems. Bangkok and Pattaya have similar bookings at 60 percent. The southern region has 70-80 percent bookings. As this year has two consecutive holidays – Chakri Memorial Day and the Songkran break – Thai people are more likely to make plans to travel for up to 10 days from April 6 to 15. This long holiday season makes Japan the most popular destination for Thais, followed by Europe. During this period, up to 300,000 Thai people are expected to travel abroad, with a total spending of 9 billion THB.